Car theft has been on the rise in the UK for the past few years. This has resulted to the emergency of several car tracking companies offering car tracking services. The competition in this field has become very stiff as competitors try to outdo each other in production of more secure and efficient tracking devices. Car trackers UK has been one of those companies. We offer a wide range of car tracking systems which can help you track your vehicle wherever it might be. Our technology is advanced and up-to-date so that we can counter any tricks that the thieves might use to block the GPS signals in order to avoid finding the stolen car. 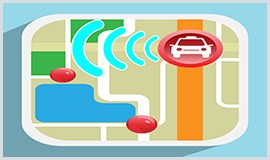 UK Car Tracker offers different types of car tracking systems with a new range of tracking them. Once you obtain a car tracker from us, you can monitor your car or vehicle using your iPhone app, PC or any mobile device that uses our mobile tracking solution. With the new range of trackers, we offer different packages from high to low cost packages. The lucrative package includes the pay as you go tracker which comes with a complete initial number of tracking positions and SMS credits. The economical and annual package entails a tracker with tracking positions and a bundle of SMS credits per month. From these, you can select a package that suits you or one that you can afford according to your needs. Our trackers are web enabled and can be controlled easily. The web control panel is well designed for easy usage by our clients and functions outstandingly. The panel performs several duties. To begin with, it allows you to change the frequency interval whenever you want to locate your tracker. When using the panel, set a perimeter around the area you want the tracker to cover. This area is also known as a Geo-fence. A Geo-fence is an area where the tracker is set not to go beyond a certain border or barrier. The moment the tracker exceeds this area, by entering, leaving or doing both, a notification SMS is sent to you. The tracker can be viewed from our control panel, but also you can call the device using your phone and it will return the address or location of your car via SMS. If you put together these great features with on demand real time tracking, and very easy to use location history reports; our car trackers are a must have to all. From those who own personal cars, to a fleet of cars to business people too. Unlike many tracking devices in the market, UK Car Tracker offers unique car tracking systems that cannot be easily identified by thieves. Examples of our car tracking devices include; belt tracker, tracking case, and other shadow trackers. These come in different shapes which cannot be easily recognized. If you buy a car tracking device or system from us, you get the best and latest version of the car trackers in the market. There is only one chance to secure your car before it is stolen, make the right choice by selecting car trackers that are advanced and can help you recover your vehicle if it is stolen. Car tracking systems from car trackers UK are the best for any person who wants to secure their car or monitor their business closely.